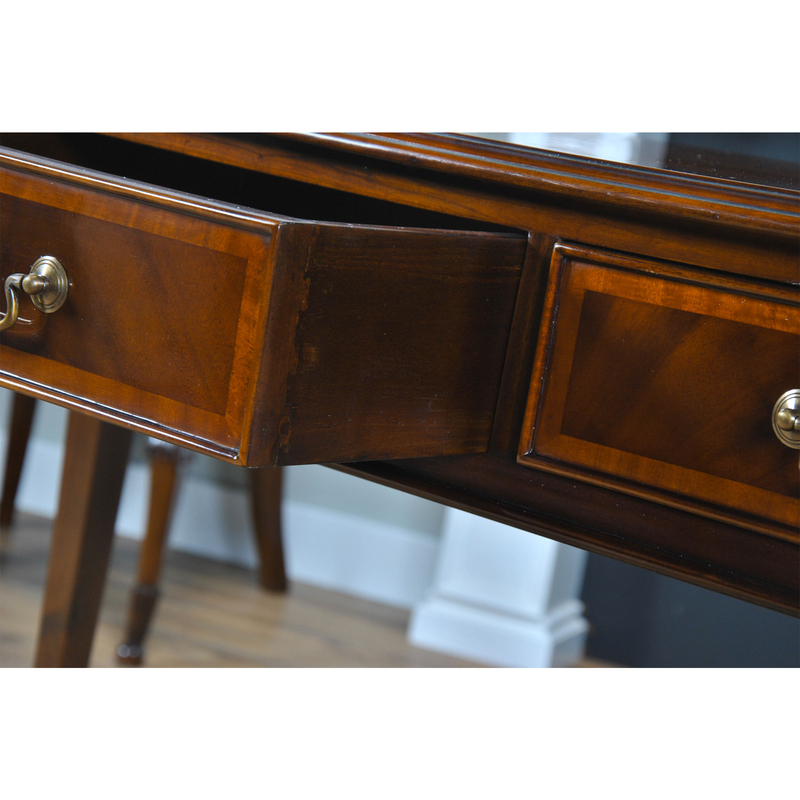 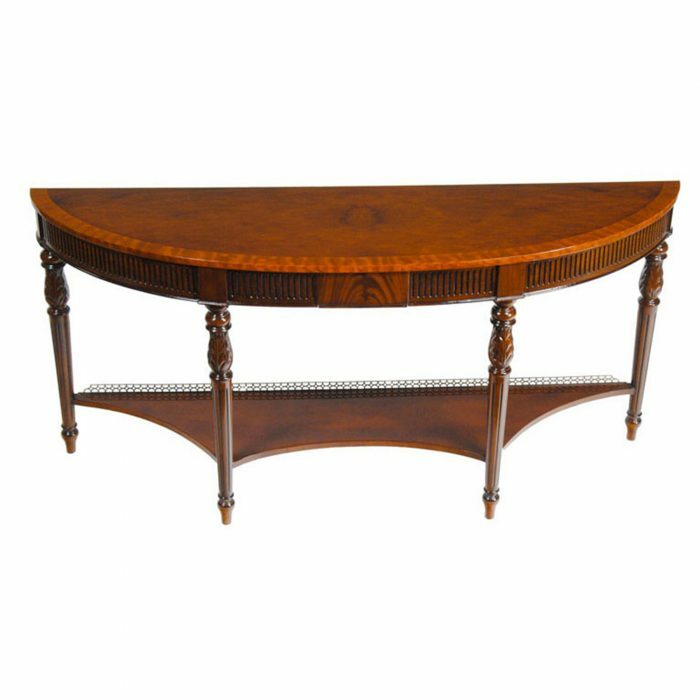 A gorgeous Large Mahogany Banded Console from Niagara Furniture made of mahogany and satinwood with solid brass drawer pulls. 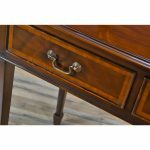 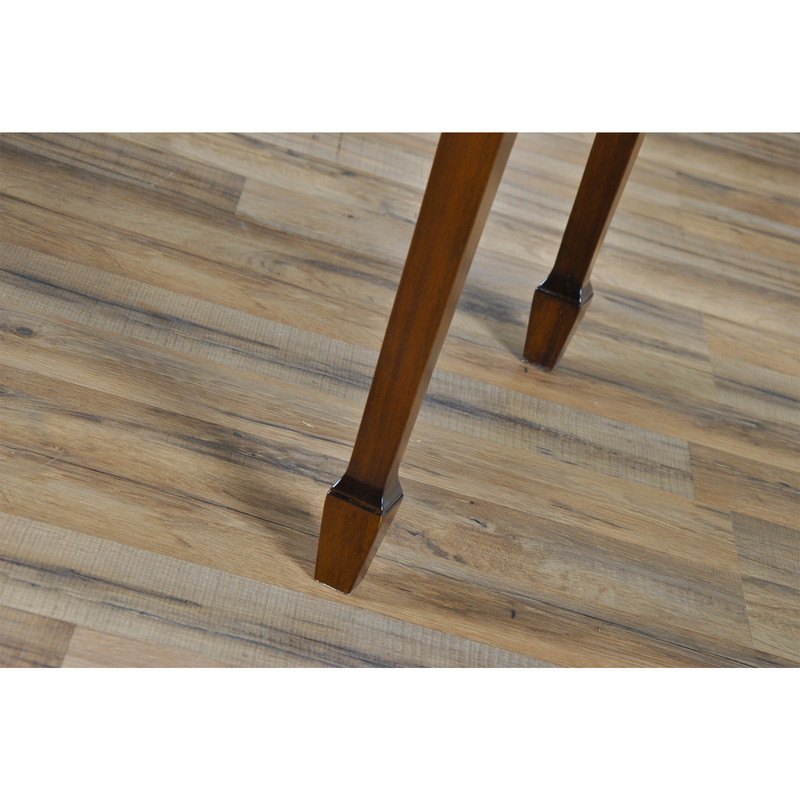 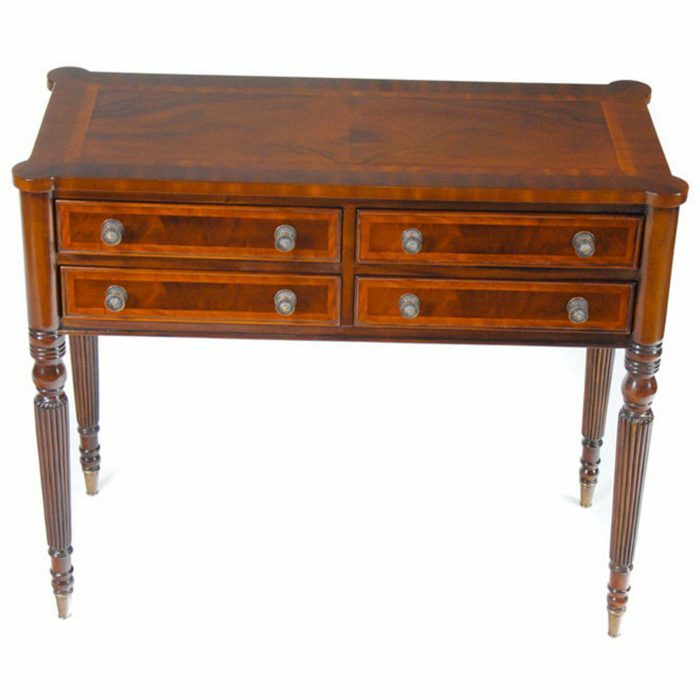 The three dovetailed drawers denote high quality construction and the elegant tapered legs end in a popular spade foot design. 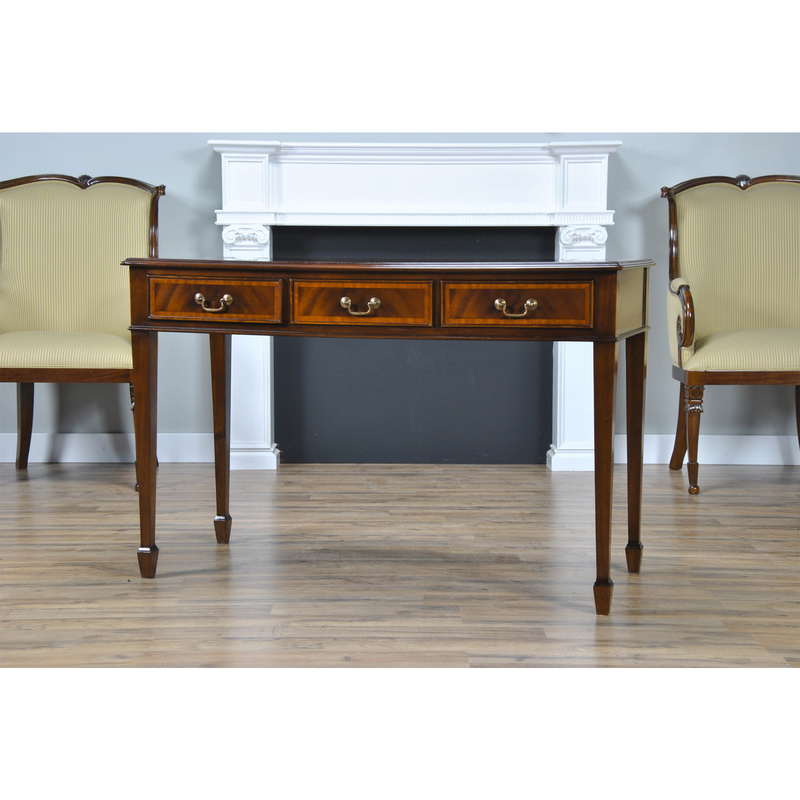 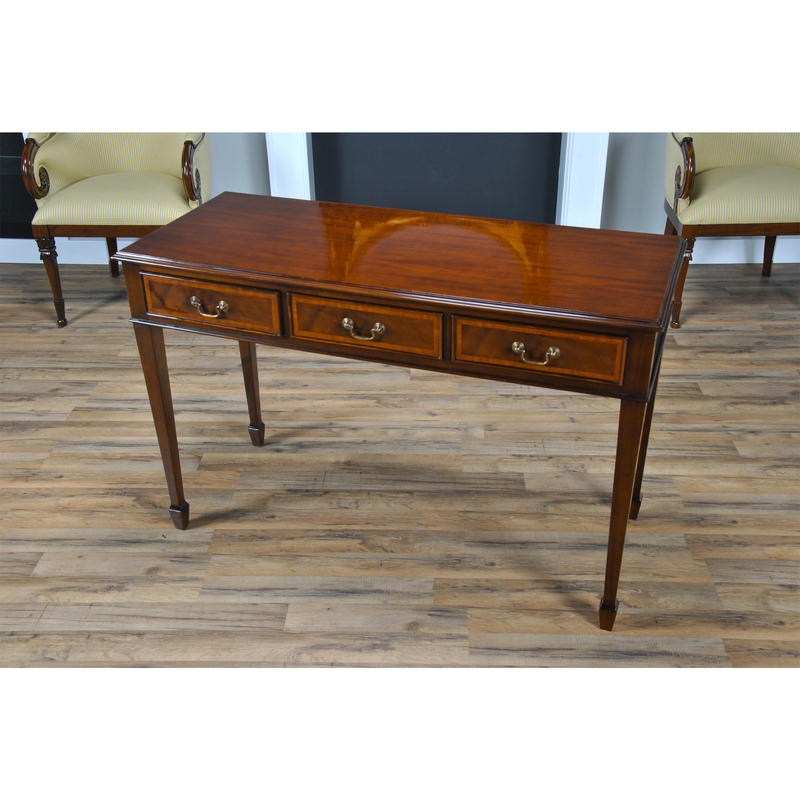 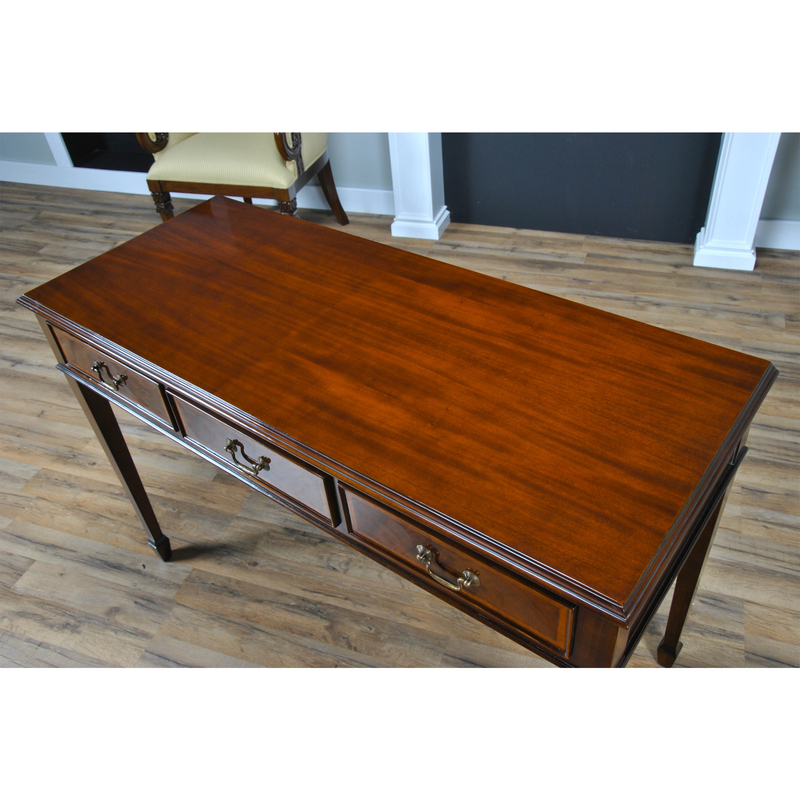 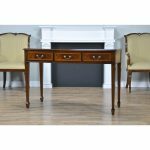 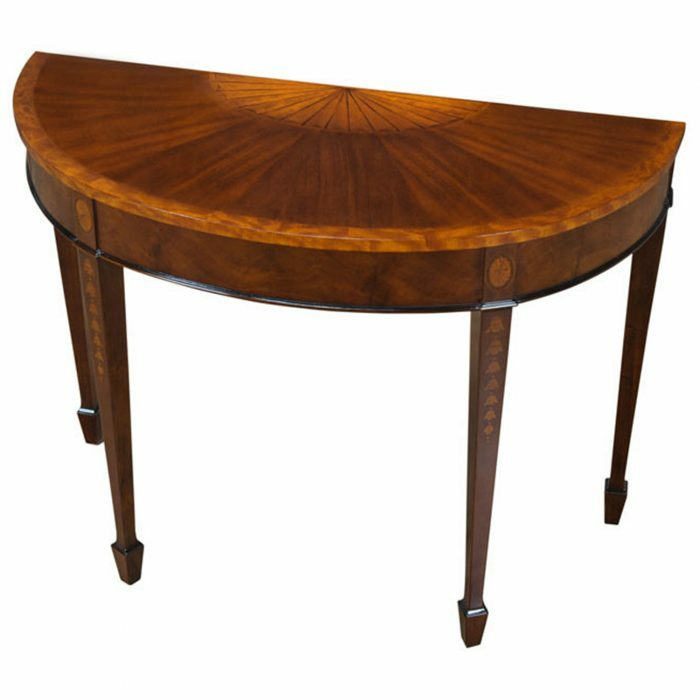 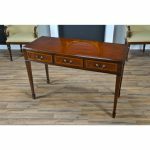 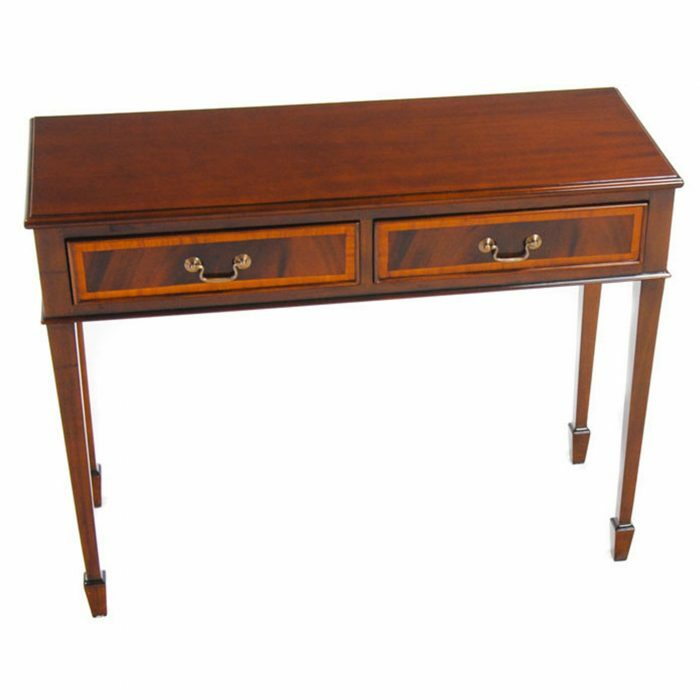 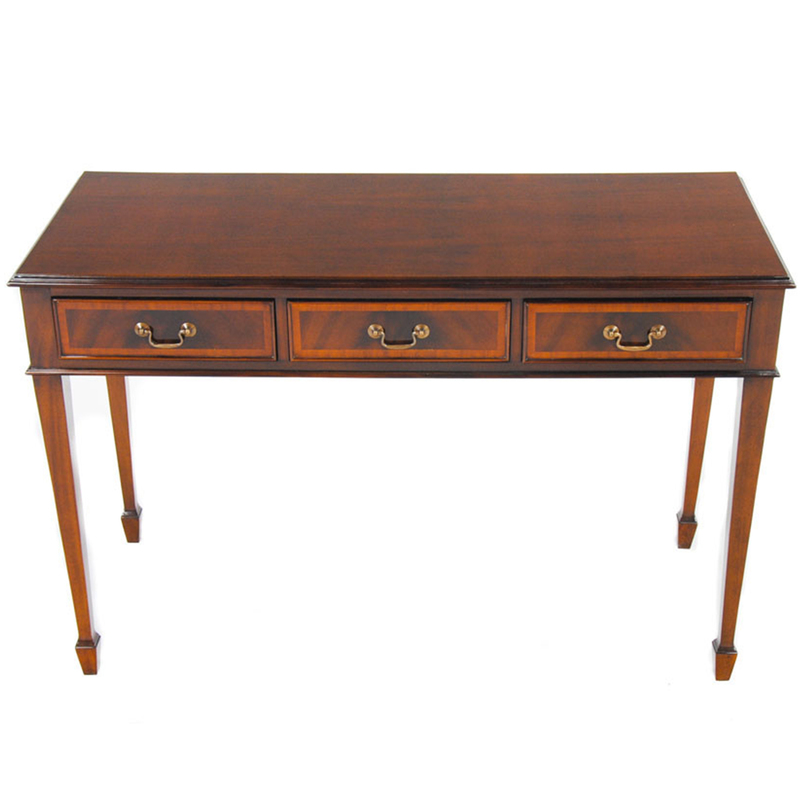 The Large Mahogany Banded Console is a piece suitable for the front entry way of a home this console is also used in hallway, but also often used in dining rooms and as a sofa table, even as a narrow writing table.